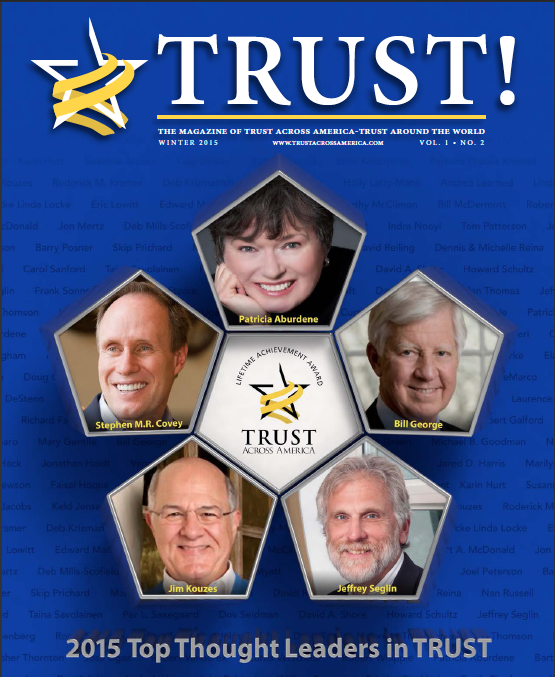 Honored, humbled and daunted to be named 1 of the top 100 Thought Leaders on Trust by Trust Across America. 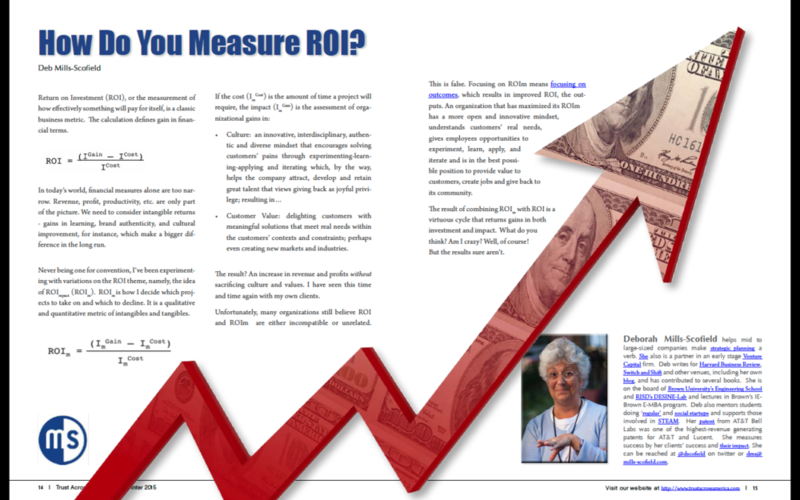 Thank you so much, Barbara Kimmel and team for your trust! Thank you Aaron Aders and Inc. including me in this article on collaboration. "..."Successful collaboration isn't just about providing the necessary tools and training for collaboration," she explains, "but also about building trust with employees." She suggests that collaboration develop in an organic way, rather than something being imposed on a team. "Watch how your people collaborate," Mills-Scofield advises. "Then translate that into a tool that will fit as naturally as possible into their day-to-day routine and behavior." 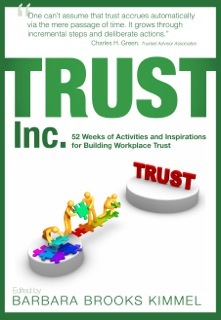 Many thanks to Barbara Kimmel of Trust Across AmericaTM for letting me contribute to Trust Inc.: 52 Weeks of Activities and Inspiriations for Building Worldplace Trust (Vol 3.). My mantra, Experiment-Learn-Apply-Iterate, is a way to start building trust in one's own capabilities and one's team (pg 29). Get the book, try out these various ways and you'll be surprised at how it works! (And if you want, buy Vol 1 & 2 as well (ok, i'm in Volume 1 too)).